Promotion: Is Love the Answer? Some time ago I remember reading -- in an article about successfully marketing your writing -- "Love your readers." Wish I remember who wrote this or where I read it, but, whomever, wherever, it has stuck in my head for years. Which gives rise to . . . I am supposed to love people I have never met, some of whom may be motivated by all kinds of ideas and life circumstances foreign to me? Those who are truly strangers? Wait a minute. The kind of love meant is not mushy-kissy love. It isn't romance and wedding bells or even the holding a baby who reaches for my finger sort of thing. It isn't even (really) close friendship. Those of you familiar with the Bible, including the books of Moses, the Prophets, and/or the New Testament, know the term "Love thy neighbor as thyself." This wisdom passed into generic thought world-wide generations ago, but the question, "Who is my neighbor" perplexed folks back then, even as it might now. One explanation comes in the parable about a man stopping along the road to aid an injured stranger who, under other circumstances, would be considered an enemy. Strangers. Loving strangers, which, I admit, you could call most of any author's readers. So--love them. This is advice I have now taken to heart, and I admit it's much easier today, since I have eight published books and numerous short stories to claim. 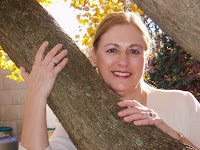 These days I hear from readers who use the word love freely when describing how they feel about my books and the characters in my mystery series. Gosh, it is easy for me to love them, as it would be for any of us, right? But I love all the unknown 'strangers' too. Another bit of advice to writers I have heard and read is to picture one reader and write to that person while your fingers type ideas. I have expanded that hugely. I think of many readers, and, helped by my familiarity with readers who love enough to contact me, I have all--all of them, including the strangers--with me as I write. Writers talk about being alone much of the time, making stories from their private knowledge and imagination. Is it too much to say that, as I write, I am never alone? I respect, appreciate, welcome the readers in my head and yes, I have come to partially understand, and to love each of them. We are a unit. I am writing for myself, of course, but also for them. I do hope it enhances sales as that long-ago writer suggested. But, whether it does or not, it sure enhances my enjoyment of life as a writer. I got a lot accomplished: 2 novels and 2 short stories published and at least one novel and a few more short stories in the pipeline for next year. I also brought out my very first published novel as an audio book and want to do the next two of those. In case you’re interested in my writing, the novels were EINE KLEINE MURDER, the first Cressa Carraway Musical Mystery, by Barking Rain Press and DEATH IN THE TIME OF ICE, the first People of the Wind Mystery, by Untreed Reads. 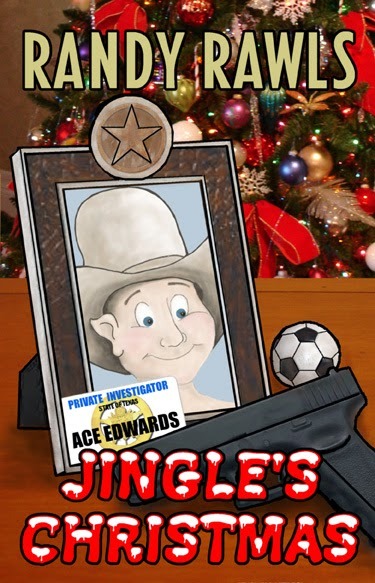 The stories are “A FineKettle of Fish” by Untreed Reads and “Immy Goes to the Dogs” in The Untreed Detectives anthology, also by Untreed Reads. (What would I do without Untreed Reads?) The audio book of Veronica Newton reading CHOKE,the first Imogene Duckworthy mystery. With the new series coming out next year from Berkley Prime Crime, it dawns on my that I’ve gotten myself into writing FOUR different mystery series. If anyone has figured out how to squeeze a few more hours into the day, please let me know. I don’t sleep much as it is! This year also brought us to a new home in Knoxville TN. We’re enjoying the climate, an almost complete about-face from the Texas heat and drought. In other words, tons of rain. I find I haven’t picked the best climate for allergies and arthritis, but nothing’s perfect. We have close family here and also in the Washington DC area. We’re much closer to DC than we were. We did leave behind some family in Austin, but, again, nothing’s perfect. In 2014, I’ll have the new series, The Fat Cat series, start in September. Until then, I should be getting out a few more short stories in planned anthologies. Three anthologies, I hope. No more moves, which should make next year much simpler. We moved in 2012 and also in 2013, so that’s enough of that. I hope for a trip to the Rockies in the spring or the fall, and many trips into the Smokies, which are right next door now. I also hope for a trip to Europe, but that’s not really in the plans. I’ll keep buying Lotto tickets. Best wishes for a wonderful New Year to all of you! I apologize for the lack of images. I was unable to load any to the blog this time. My favorite Christmas present this year was hearing three of my novels, which were recently recorded as audio books. Listening to the excellent narrators perform them was akin to watching actors perform a play I might have written (when I closed my eyes). 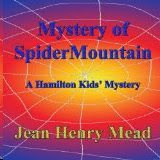 The first, Mystery of Spider Mountain, was written for middle grade readers and features the adventures of the Hamilton Kids. It's a semi-autobiographical story of my childhood in the Hollywood hills. Chelsea Ward does a great job narrating the novel for 9-12 year-olds and will also narrate the following book in the series, Ghost of Crimson Dawn. Mystery of Spider Mountain is currently on sale in audio for only $1.99 at Audible.com, Amazon.com and iTunes. 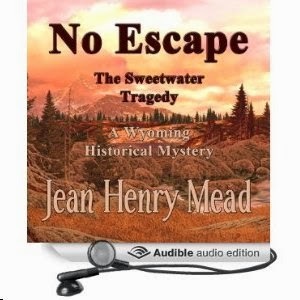 My historical novel, No Escape: The Sweetwater Tragedy, was written after more than 20 years of research because it was a previously unsolved mystery. I came across the story on microfilm years ago while researching a centennial history book, and felt I had to write the true story. Dennis Redfield, a southern California actor, did a terrific job of narrating the book, which is now available at Amazon, Audible.com and iTunes. 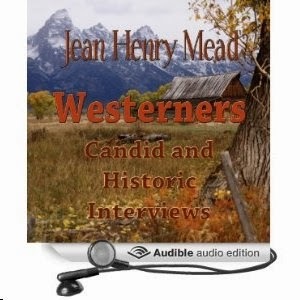 Westerners: Candid and Historic Interviews contains some of the fascinating people I've had the pleasure of interviewing over the years. Among them Louis L'Amour, country singer Chris LeDoux, attorney Gerry Spence, Lucile Wright, early aviatrix and friend of Amelia Earhart; infamous grandsons of Buffalo Bill Cody and Presidents Benjamin and William Henry Harrison,who left their own imprints on society, among many others interviewed during my years as a news reporter and freelance photojournalist in both California and Wyoming, Narrator Paul McSorly deftly brings the interviews to life. My favorite Christmas memory is a little one. My son and I attended Christmas Eve services in our little town. As we left the church that night, snow had started falling, coating the cars and streets with a white dusting. Not enough to be a problem driving, but the world was almost silent in the storm. Many times I only think of the trouble a snow storm brings. The bad roads, the slippery sidewalks, the need for more layers. But that night, the world was magical again. I hope you all have a wonderful holiday season and find your piece of magic in the season. 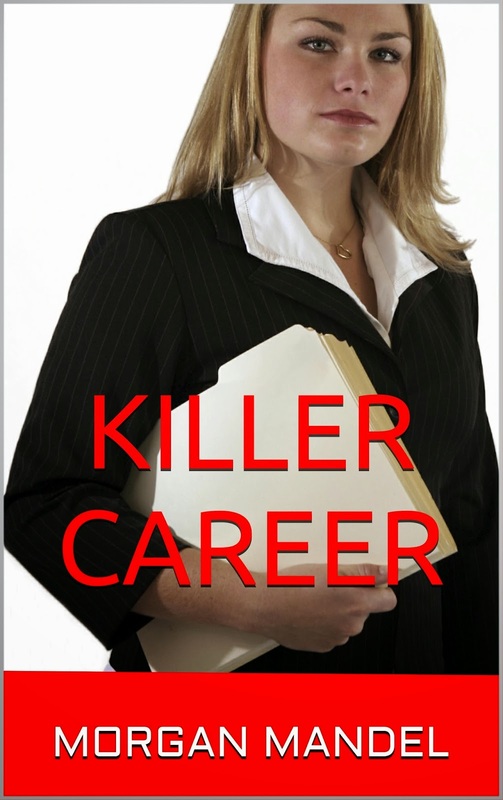 For the first time, I'm offering my romantic suspense, Killer Career, free for kindle/PC on Amazon on Tues, Dec 31 through Friday, Jan 3. She's got a brand new cover, which I hope you'll like. This is the story about a lawyer who wants out of the legal profession to follow her dream of writing. Her best friend and law partner is not happy about her choice, especially since she's very attracted to a bestselling mystery author, who has become her mentor. Her partner has protected her since they were kids, and fears she's making a huge mistake by giving up a lucrative career, not to mention her infatuation with the mystery author. When people around her start dying, she wonders who to trust. What has she gotten herself into? Both of you, get hold of me and tell me which of the Rocky Bluff books you'd like and send me your mailing address. I had fun doing this--I hope everyone that entered did too. It’s the holiday season again – gulp! – and we’re all running around like mad trying to fulfill all our individual family traditions and other obligations. Gifts and food and guests and cards… sometimes it seems overwhelming. But in spite of overspending and overeating, it is a magical time of year. Those of us who are religious have the extra pleasure of celebrating our faith. Those who are not religious simply enjoy the energy and the spirit of the season. Just about everyone, though, wishes the spirit of the season could last all year long. Stay with me – this does have something to do with writing. Mention Christmas to anyone – Christian, Jew, Wiccan, agnostic, any flavor of belief – and I’ll bet money the first reaction that snaps into most everybody’s mind is an impression of evergreens and countryside and holly, all perfectly frosted with a glistening blanket of snow… in other words, all the traditional icons of Christmastide. It makes no difference if someone lives in the desert or a city high-rise, the first image most people conjure of Christmastime is heavily influenced by the pictures of Currer and Ives. Even if we’ve never seen such a Christmas in our life, that image is one of our cultural expectations of Christmas. I grew up and live in Texas, where – in my part of the state, at least - we almost never get white Christmases. A couple of years ago, though, I went to join The Husband in Germany for the holidays. There were evergreens artistically frosted with snow. Holly bristled with red berries. The city abounded with flags and banners proclaiming “Merry Christmas!” It was like walking into a Hallmark Christmas card with every expected Christmas image right in place. And that’s the link. Expectation. We expect romance novels to end happily. We expect mystery novels to end with justice (not necessarily the law) being served. We expect the good guys to win in genre fiction. That’s one of the joys of popular fiction – even though we don’t know how it’s going to get there, we know how it’s going to end. It will fulfill our expectations. Unfortunately, there is no such guarantee of a happy ending in real life. On the other hand, as humans we are adaptable. In spite of temporary disasters like an exploding turkey (don’t ask), gifts that are just flat wrong, the inevitable fight between warring uncles or squabbling cousins, whatever, we will remember the good parts of Christmas – and there will be good parts. Great food. A wonderful gift that you wanted but didn’t expect. The magic in a child’s eyes when they talk about Santa’s visit. The comfort of family and friends. This year’s disasters become next year’s shared anecdotes and then pass into treasured family lore to be passed down through the generations. (And if your family is like mine, they never forget anything no matter how much you might want them to!) The children grow older and the magic of Santa is replaced with the eternal magic of love and family, until it is time for them to create the magic of Santa again for their own children. As writers we are incredibly fortunate – we don’t have to wait for Christmas. We get to create magic and fulfill expectations all year long. Merry Christmas! May it meet your expectations, now and forever. Just for fun, I thought I'd give away one of my Rocky Bluff P.D. mysteries to one of the commenters on this post. I've been busy with the pre-publication stuff for the next one due out in March of 2014: sending it off to be edited, going over the galley proofs, discussing the cover image with the publisher, and thinking up some new ideas for promotion. Will I do another blog tour? Not sure at this point, but if I do it won't be as intensive as the last one I did. For the giveaway, the winner can choose which one in the series he or she wants and whether it's on Kindle or a trade paperback. (For the trade paperback, US commenters only. The Rocky Bluff P.D. series is set in a small beach community in Southern California. The focus is on the men and women of the police department and their families. What happens on the job affects both. Every crime is solved, but what is happening in each character's personal life may and often continues on to the next book. I've become so fond of these characters I feel compelled to write the next book so I can find out what is going on in their lives. This is one of my favorites in the series--and I love the cover. And if you check them out on Amazon, remember, I write this series as F. M. Meredith. 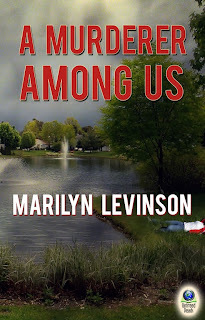 Last week Untreed Reads brought out a new edition of A MURDERER AMONG US, my first Twin Lakes mystery that was awarded a Best Indie by Suspense Magazine. Lydia Krause, my clever, gutsy sleuth, is eager to meet those of you who don’t know her. After reading our little chat, feel free to ask Lydia anything you like. Marilyn: Why did you move to Twin Lakes? Lydia: After my beloved husband Izzy died, I figured it was time to make changes in my life. My daughter Meredith suggested that I move to this retirement community only minutes from her home. It seemed like a good idea, and so I sold my business and my house in Queens, and moved to Twin Lakes out in Suffolk County. Marilyn: Are you glad you made the move? Lydia: Not at first. I love my granddaughters, but Meredith had me babysitting constantly. She was very moody—happy one day, nervous the next. I began to suspect something fishy was going on. Where was she going? What was she doing? I found out soon enough. Since I don’t want to besmirch my daughter’s reputation, I won’t say another word on the subject. Marilyn: I understand, but readers will find out Meredith’s big secret. Lydia: I suppose that can’t be helped. Marilyn: To change the subject, you caused a major disturbance at Bingo, your first venture into Twin Lakes activities. Care to talk about that? Lydia: I appreciate having the opportunity to explain exactly what took place that evening. My neighbor introduced me to a man I knew to be a convicted embezzler. What’s more, this very man drove my baby sister to take her own life. I merely exposed him and his phony new name, which didn’t suit his wife, Claire. And so…we had words. Marilyn: I understand Claire was found murdered the following morning. Lydia: Yes, that was sad. Marilyn: Detective Molina thought you might have killed her, given the evidence. Lydia: I had an alibi! Marilyn: What do you think of Detective Molina? Lydia: What do I think of Sol? As a detective or as a man? Marilyn: However you choose to answer. Lydia: He’s very…nice. Good looking. And he’s a pretty good detective. Of course living in Twin Lakes, I had more opportunities to question, that is, talk to the residents. 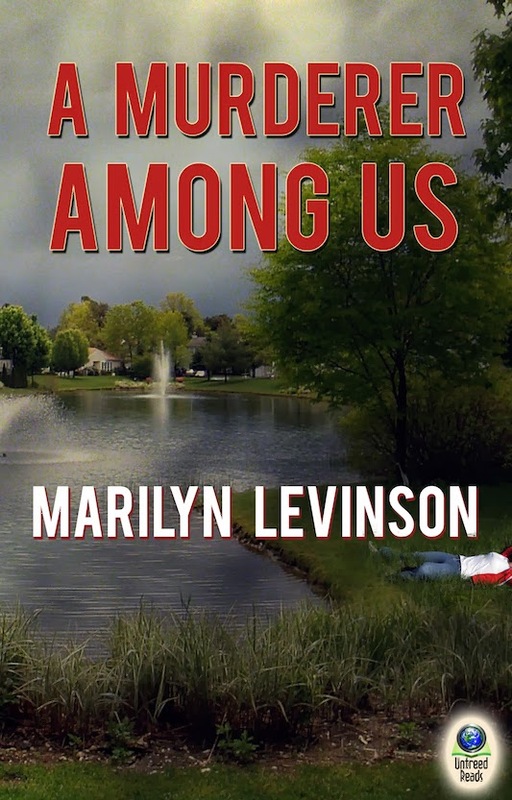 Marilyn: What did you learn in the course of helping to solve the Twin Lakes murders. Lydia: That everyone has secrets, secrets that often reach far back into the past. Why Should Writers Care about St. Lucia? The Her origins are lost in history, but a few things are known. Lucia, or Lucy, was born in Syracuse on Sicily and martyred in 304 AD. Legends have sprung up, however. he fiancé heard about this and wasn’t pleased. He outed her as a Christian (a dangerous thing to be back then). When the guards came to get her, one story says that they could not budge her. So they built a fire right there, but she wouldn’t burn. So they ran her through with a sword. Another version is that she foretold bad things for the present emperor and he, enraged, had his guards carve out her eyes. Another version is that she gouged out her own eyes to discourage a persistent suitor. However, at her burial, her eyes had miraculously been restored. 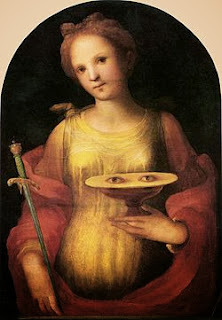 Icons show her carrying her eyes in a goblet to give to her suitor who had admired them. From there, she became the patron saint of the blind and or martyrs, which makes sense. Somehow, she has also become the patron saint of epidemics, salesmen, throat infections, dysentery, and--TA DA--writers. The gal got around after her death. Her day, December 13th in most places, is celebrated in Sweden. 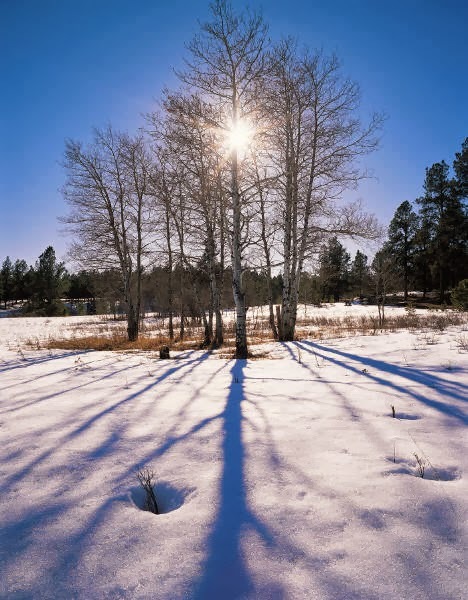 It used to coincide (or someone thought it coincided) with Winter Solstice and the beginning of shorter nights is something to celebrate that far north. Her day is also celebrated in Hungary and Omaha, Nebraska. Welcome to Make Mine Mystery, Lesley. Tell us about your latest release. This is the second in the Big Lake Mysteries (the first was Dumpster Dying) featuring Emily Rhodes, retired preschool teacher and bartender turned amateur snoop. It seems as if Emily is destined to discover dead bodies. 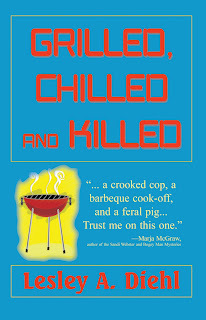 This time she finds one of the contestants at the local barbeque cook-off dead and covered in barbeque sauce in a beer cooler. 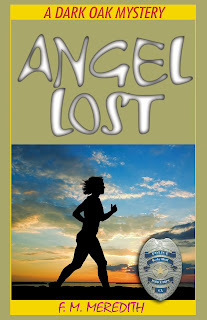 She should be used to stumbling onto corpses by now and the question of who killed the guy should pique her curiosity, but Emily decides to let Detective Lewis handle this one, at least until she figures his theory of who did the deed is wrong, wrong, wrong. Lewis’ denigration of Emily’s speculations is condescending enough to stimulate her dormant snooping skills. As the two of them go on their separate paths to find the killer, Lewis’ old partner, Toby the dirty, tobacco-spitting cop interferes in the investigation leaving Lewis with the wrong man in jail. Killers, bootleggers, barbeque and feral pigs—it’s a lethal game of hide and seek in the Florida swamp. I’ll probably get in trouble with the author, but I wanted to take this opportunity to talk about what I like in her books and what I don’t like. You’ll note from my remarks that some of what is positive in my character and my situation can also be problematic. Let me get right to it. She created me as a senior which is great because it gives me a wealth of experience upon which I can draw for my understanding of others. It doesn’t quite make me a wise old woman, but it gives me some heft, and people listen to me perhaps more than a twenty year old—even twenty years olds listen to me, but maybe that’s because I’m a groovy, with-it kind of retired person. My career as a preschool teacher was both a plus and a minus. It taught me how to wrestle three and four year olds into behaving nicely, a great trait which can be applied to seniors who are just as unruly at times and to men. Those I’ve met can use a little wrestling into submission. Read on about the men thing. On the other hand, all those years of experience also point up some of my less admirable traits. I picked the wrong guy in college and ended up pregnant. And some might point out that I picked the wrong guy in my senior years and ended up alone, but that happens whether the guy marries you or not. In my case, I think Fred was a little too naïve about how fit he was at age sixty-five or so. It’s best to make a will and make it early! Because she has profound respect for women and is one herself, the author gave me some of the best friends any gal could ask for. They are supportive, adventurous, noncompetitive and truth tellers. Of course, she also created some gals I don’t give a hoot about, especially the one who accused me of trying to take her man. What I didn’t have a chance to say to that one was, why would I want him? I have a next-door neighbor who bakes like a dream and since I’m just a little thing, I can get away with eating anything she makes. Unfortunately, the author isn’t so fortunate, and she’s a little snarky right now as she’s been dieting to take off those unwanted winter pounds, a difficult task when you’re nudging seventy (don’t tell her I told you that). Then there are the guys she wrote into my stories, two of them in particular, a detective who’s cute enough to make my toes curl and a bass fisherman, sarcastic enough to make my head hurt. Both of them like me, perhaps too much. After Fred, my life partner died leaving me with nothing, I’m really not in the mood for another relationship. I know, I know. Women say that all the time, but that’s younger women. At my sage age, it’s true. A gal wants to think long and hard about getting involved with someone who has a lot of miles on him. And these two guys do. The detective is a real know-it-all. He thinks he’s an expert on human nature and therefore a great sleuth, but what he understands about women probably wouldn’t fill a shot glass at my favorite cowboy bar. Yet he tries to pull rank on me all the time. You’d think after I solved two murders he would show a little respect, but all I get is an evening with candlelight and wine. Well, and a bottle of shower gel. I might share it with him. The bass fisherman is too prickly to get too close although he did save me from an alligator once. For that he expects me to be grateful. I have him where I want him. I’m the bar manager at the Big Lake Country Club, and he works as a part-time bartender for me. It does not set will with him. I can tell. What really rankles him is the detective. I think he’s displaying something like jealousy but it’s hard to tell with him. It could just be indigestion. So that’s the pickle this author put me in. Stuck with experience that might make me smart but surrounded by two guys determined to dummy down my insights and skills. I’ve heard she intends to do a third book. I hope in this one she realizes I don’t need the help of these two guys. Although the story might be better if she kept them in it. Oh, well. Here’s a hint: She says she thinking of entitling the next one Scream Muddy Murder. Unlike the others, she says she won’t have me blunder onto a body. This time it will only be part of a body, the head. Oh goody. So thanks for letting me talk. See you around the cowboy bars. And stay out of the swamps! 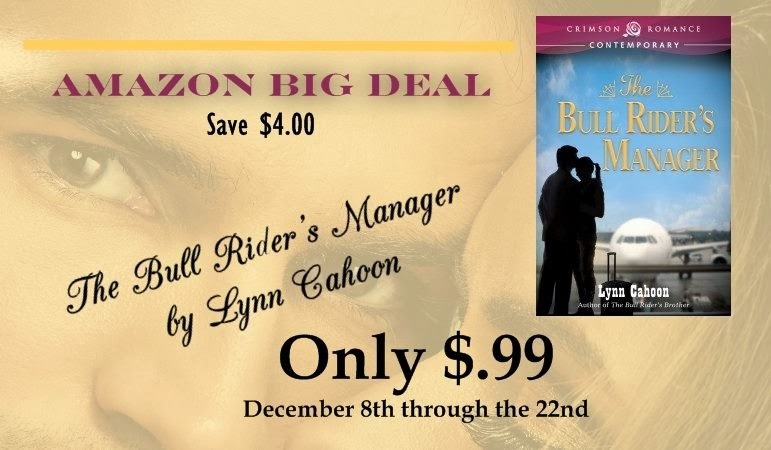 The Bull Rider's Manager, my contemporary romance with a Vegas wedding, is on sale until December 22nd for 99 cents on Amazon. Which got me thinking about why I like Vegas so much. When my husband (The Cowboy) and I got together, we played a lot of darts. And went to a lot of tournaments. Vegas's NDA shoot was a week long, filled with days of darts, either watching or playing. But we took some time to play tourists as well. One night we hit all the big stops - Fremont street, Treasure Island, The Bellagio, Paris, and The Venetian. Walking through some of these large casinos, I realized the fantasy that Vegas sells is a lot like the story promise of a book. Chapter one in a book take the wide eyed country bumpkin who walks through the door into the marble lined entrance and changes their world. Or that should be our job as an author. I love the Lotus Palace in the Percy Jackson series. A place where all your wants and desires are granted, but, at at cost. That's how Vegas feels to me. Filled with promises of glitz and glory. Barb Carico, the heroine in The Bull Rider's Manager, isn't a wide eyed country girl. She's been around the block and made her mistakes. Yet when she's confronted with a handsome prince willing to sweep her off her feet, she falls for the promise. But what happens when the reality of life comes the next morning? I've been married twice now. Once in the small church on my university campus. And five year ago at The Stained Glass Chapel in Las Vegas. I loved the fact that the new chapel had stained glass recovered from an abandoned church in my new home state of Missouri. Redemption and renewal. I'm sure the pull of Vegas will keep being a subject I explore in my writings. And in my own life. But now it's your turn. Are you a Vegas wedding kind or do you want a more traditional ceremony? Today, I'm honored to present my interview with Bob Gaston, or Robert Gaston as he pens his books. Bob and I go back a number of years. We met when I first moved to Dallas and finally found a critique group. Bob was a member. From that beginning, we've shared many writing experiences and some truly enjoyable social occasions. Bob's latest book is The War Within, a darn good read. Randy: Who or what inspired you to start writing, and when did you start? That is a hard question to answer. My life has been a poor adaptation of the slogan, “Be all that you can be.” I have been what I had to be by the circumstances of my situation. In college I wanted to be a radio announcer. The military wanted me to teach broadcasting at the information school. To kill time between my classes I attended journalism classes. I guess that is when I first seriously considered writing. When I got out of the service my first job was as a television newscaster. That is when I seriously began to write. 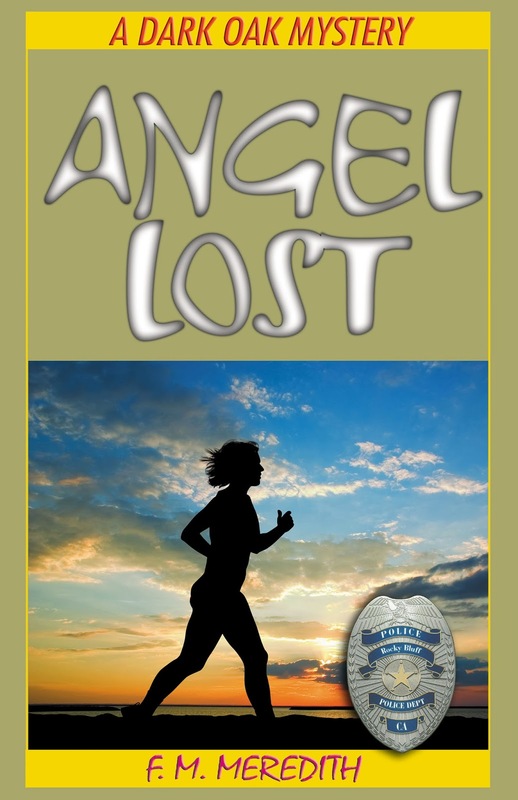 After twenty years as a broadcast journalist I thought I knew how to write and wrote a novel. That is when I discovered how little I knew…my son called my first attempt a “series of news bites.” Several attempts later I hope with my first published book, The War Within, I have learned my craft and become a writer. Randy: How do you categorize The War Within? Genre? Mystery? Mainstream? Western? How? 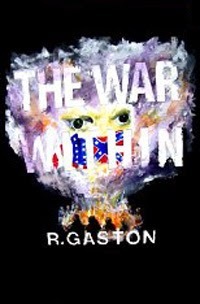 When I started writing The War Within, I wasn’t thinking genre my motivation was a stray thought…was post-traumatic stress a product or recent wars or did the veterans of the Civil War suffer from it? The War Within is not a western, though it is set in West Texas and has Indians who are fighting to hold onto their lands. It is not a mystery though the main characters are suffering from an un-named and un-recognized emotional disorder brought about by war. It is not mainstream though the plot deals with the Homestead Acts and its promise of free land and a fresh start to the thousands of war weary citizens. It is not woman in jeopardy or romance, although there is some of both in the story. If The War Within must be placed in a genre is could be action-adventure, but I like mystery because of the mysterious emotional conflict that drives the two main characters. Randy: What tools and process do you use to “get to know” your characters before and while you’re writing the books? I worked out the plot and then peopled it. In my writing the characters take over the story. I attempt to submerge myself in their actions and thoughts. It is not a question of “what would I do?” but “what would they do.” I am currently writing the story of a single mother who is drugged and kidnapped. She awakens, naked, in a blacked out basement with the sounds of heavy breathing. A man and a woman would react differently so I can’t ask “what would I do?” I had to enlist emotional and thoughtful information from different ladies. Explaining what information I wanted and why created a lot of raised eyebrows. Randy: How do you construct your plots? Do you outline or do you write “by the seat of your pants”? Bob: I’m a seat of the pants guy. My characters carry the story. I set a goal they must reach at the end of the story and attempt to make each chapter a scene on that journey. Randy: In the age-old argument of character versus plot, which one do you think is more important and which one do you emphasize in your writing? Why? Bob: My son’s critique comes to mind…“news bites” If you don’t have a balance then all you have is a narrative without emotion, which to my mind is without the readers' involvement. Randy: What is the biggest challenge you’ve faced as a writer and what inspires you and keeps you motivated? Bob: I once thought it was starting. Finding a plot and characters to carry the story. To be honest I miss this….right now I am up to my eyebrows in promoting and selling The War Within. My biggest challenge is not the writing but the time and distractions of marketing…something I am no good at. Randy: What is the single most exciting thing that’s happened to you as a writer? Bob: Holding my first printed copy of a book I had written with a cover I had designed and painted. The second thing is the generous reviews I have received from total strangers. Randy: With more books being released each month now than ever before, what do you believe sets your work apart from the others? Bob: An old Texas comment comes to mind…Don’t ___ on my boots and tell me it’s raining. So I won’t kid you. There are time when I wonder how my book stacks up against all the competition. Apparently the biggest challenge we all face is calling attention to our work. I see well know published authors books that I don’t think are as good as The War Within, but their books are selling and listed on the NY Times list and I am struggling to get a local paper review. To be candid, I think The War Within is different because it is one of those stories that could be set in any time period, today, WWII, The Civil War…anytime when vastly different characters filled with anger, fears and emotional damage cross paths. Randy: What area of book promotion is the most challenging to you? Bob: All of it. When I was in politics I had supporters and a staff doing this work. When I was a journalist I had personal exposure on radio and TV. I am self-taught on the computer and don’t really understand the internet. I ask my 11 year old granddaughter for help. But I guess I would have to say finding the time to write, paint, and promote. Each discipline wants a piece of me. At this moment I wish I understood how to use the internet media to create sales. Randy: What is a typical workday for you and how many hours a day (or week) do you devote to writing? Bob: I have never worked harder than I do now that I am retired. But my work is what I want to do. My conflict is dividing my time between two creative demands. Art and writing. I spend far too much time looking at e-mail and Facebook to catch up with friends and family. When I get started after coffee and the morning paper I may paint for a couple of hours and then write. My writing is currently on a novel loosely titled The Victim. This writing is a revision. It is almost ready to take the next step into publication. I would guess that I spend two or three hours painting and three or four writing. Randy: Is the writing life what you expected when you started out? If not, how is it different? Bob: I thought it would be easier. Having spent my life in an ego driven occupation I also expected instant acceptance. Now I know two things. It is hard work and writing is something I should have doing seriously twenty years ago. I really regret those missing years. Randy: Would you do anything differently if you had it to do over again? Bob: Focused on writing and not my television career. The painting I could always fall back on as a relaxing hobby. I sell my art, but I can’t kid myself into thinking I would have made a living at it….my writing is another matter. Randy: What advice do you have to offer to an aspiring author? Bob: Write because you enjoy it. Write because you must. Write every day. Don’t be discouraged by what is happening in the industry…this is one of those bad spells that every industry has. Be ready when all the dust settled. Your time will come. Randy: What are you working on now and what are your future writing plans? Bob: I am attempting to polish The Victim, the story of the TV news anchor/ single mother with a problem child and a stalker. I have just finished a painting of a buffalo stampede from a wildfire and am working on an owl among Spanish moss. Randy: Is there anything else you would like to tell my blog readers? Bob: Sometime in the near future I hope to establish a website and a blog. So far the pressure of art shows exhibits, birthdays (all my family seems to be on the same clock) and a brief illness have kept me occupied. I’m available for book signings, readings, painting demonstrations, etc. Thanks, Bob. I hope this helps move lots of copies of The War Within. Anyone who buys it will be amply rewarded with a great read. 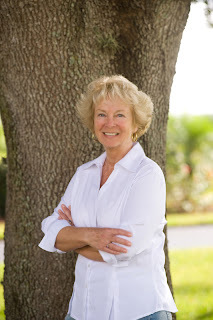 My new book, Best Defense, featuring Beth Bowman South Florida PI is available from all the right places. Also, for those who are young enough to believe in Santa, Elves, and the joy of the holidays, check out my Eversion of Jingle's Christmas. It's cheap, but it's fun. I am ambivalent about the holidays. I still have enough of the child in me to be in joyous awe of Thanksgiving, with its focus on thanking God for what made this country great as well as (let’s face it) for the unrestrained gluttony. My family is full of excellent cooks who, for this one day a year, throw their usually healthful menus to the winds and provide a sumptuous feast. Some of the more fanciful and calorie-laden recipes are only brought out on Thanksgiving … and occasionally on Christmas, but not always. We all eat all day and no one says a thing except, “More, please.” We all believe that one day of gourmandry is nothing to worry about, at least, not if you have a ready supply of Tums and Pepto Bismol handy. The fortnight before Christmas is the same emotional rush – the decorations, the carols, the lights, the mysterious and alluring packages that one by one appear under the tree as if really brought by elves… It is the stuff of magic, and if you are not touched by it I pity you. On the other hand, I am adult, and I know the work and expenditure and planning and sometimes sacrifice that must be done to create the magic of both holidays – the hard, grunt work that makes them happen. Grunt work it might be, but isn’t all magic supported by grunt work? It’s the quintessential symbiotic relationship… for adults, at least. Which is a lot like writing. (Stay with me here – I do have a point.) As adults we can see both sides of the holidays – the magic and the hard work. As writers, we have to see and make believable both sides of our characters, bad and good. We have to see all of their motivations, even – especially! – if they conflict with other characters. Such a skill is a necessity, unless we are content to write flat cardboard people with no depth, no reality – creatures who are nothing more than verbal paper dolls. Real people and real characters are multi-dimensional, with sometimes contradictory beliefs and actions both towards others and within their own psyches. As writers we have to see and respond to both. In other words, we have to create both meat and tinsel in our books. Yes, it’s hard work, but when it’s done right there is magic – and that magic is what we all want. Hope you all had a great Thanksgiving, and wish you a Merry Christmas or whatever holiday you observe. Now I must run – Christmas is coming more quickly than we can believe, and I’m running low on tinsel! Most of my family already have their Christmas tree and all the other decorations up at their homes. My sister, right after hosting Thanksgiving to nearly 30 family members, put her tree up and had it decorated completely by Friday. Though I love Christmas time and used to do all sorts of preparations from making gifts and decorations and baking special cookies and breads, I'm going to be a bit on the bah humbug side this year. My family has gotten huge, so I've decided to just give money to each family. I wouldn't buy what they wanted anyway. I also send each family a selection of English muffins to arrive a few days before Christmas. I know they like this. Hopefully, my granddaughter who lives next door, will take pity on me and put some of my decorations up for me. As for writing, I can't even think about it. I have a galley to proof, but no energy for it right now. My holiday wish for all of you is that you don't get bitten by this nasty flu bug. I know that I’m a lucky woman. They say it’s better to be lucky than rich. I must have made some good choices in life, because I’ve sure as hell made some lollapalooza bad ones. Next week I’ll embark from San Diego on a cruise ship for a six-week experience in French Polynesia. My only experience of this area of the world is singing in the chorus in my high school production of South Pacific. I’ve been thinking so hard that steam is rising off my hair about how to take along the detectives and their consorts in the two series I write: Detective Dave Mason of the Santa Monica Police Department and Detective Dex Stafford of the Kern County Sheriff’s Department. Hmmm. How do connive so that one of them ends up on this ship where murder and mayhem take place? I’m sure open to suggestions. I’ve read some not-so-successful attempts to accomplish this and the detective you’re used to driving along Wilshire Boulevard or the Mil Potrero Highway is a fish out of water, so to speak. Like all life experience, my first cruise may get filed away for later, even if I can’t contort a plot to get Mason on this ship. Perhaps a short story will come of it. I plan to sidle up to the security chief and ask some impertinent questions just in case. Just exactly what do they do if there’s a murder at sea five days from port? Don’t you just itch to know? I once asked a hotel security chief how they enter rooms where the deadbolt is engaged. He gave me such a look. You have to be careful asking questions. I’m going alone and that’s fine. There are 1279 other passengers on this ship, and surely I’ll like some of them and some of them will like me. I’m taking along my mah jongg card just in case. I could be coaxed into playing bridge. I hate gambling though, and I don’t drink. If you hear of somebody jumping ship and swimming to shore in Tahiti, it’s me. But I figure if I don’t have a good time, it’s my own damn fault, don't you think? Any cruise ship mysteries you know of?